Antineoplastons - an alternative treatment for cancer? For 30 years, one man has almost single-handedly pioneered an alternative cancer therapy in the American State of Texas. The treatment is claimed to be non-toxic and involves giving the cancer patients peptides (small pieces of protein) that healthy people have in their blood and urine, but that cancer patients seem to have lost. Burzynski has identified peptide mixes for a number of cancers - he calls these peptides ’Antineoplastons’. Much of his work has involved the extremely-difficult-to-treat glioma, in adults and children. But he does not only work on brain tumours and has antineoplastons for all manner of cancers from breast cancer to lymphoma. The NCI and the FDA have acknowledged that antineoplastons do have a positive effect with some people (even Burzynski acknowledges that they do not work with everybody). It should also be noted that the American National Cancer Institute states on their website that ’no randomised, controlled, phase III clinical trials have been concluded’. 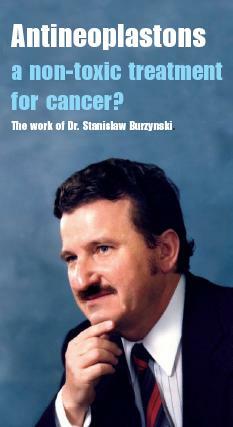 Many cancer patients have been treated at Burzynski’s clinic and the results studied there. A few trials and case studies have been done outside of the clinic. Published information includes phase I clinical trials, phase II clinical trials and case reports. Cancers studied include breast, prostate, lung, lymphoma, cervical, liver, leukaemia and brain tumours’. But. In America some Hospitals treat patients with non-proven alternative therapies like dendritic cell therapy or virotherapy by putting patients into a phase III clinical trial. Burzynski uses the same strategy for antineoplastons - the fact is that the treatment hardly has a completed phase II clinical trial behind it and is not approved by the FDA. Worse, while hospitals and major cancer centers monitor their patients closely and produce research reports, an FDA investigative report, following the death of a child, has noted serious failings in the treatment process and the trial monitoring - including destroying evidence, overdosing and incomplete research (see here). At CANCERactive, our view is that it is wrong to ignore such alternative therapies, but equally wrong (without rigorous clinical trial data) to laud them. Neither route helps a cancer patient gain accurate information or any insight. We commented previously in this introduction about our uneasy feelings over Burzynski and his clinic. A BBC documentary (where Burzynski was asked to provide clinical trial results to date but procrastinated) did him no favours at all and so we wrote to the clinic but received no answer to our concerns. The recent FDA report is damning on the clinic. However we note that the NCI still talks positively about antineoplastons! In 1970 a young Polish research scientist, Stanislaw Burzynski MD, PhD, arrived as an Assistant Professor at Baylor College of Medicine in Houston, Texas. His prime interest - an interest that he had cultivated since his time as a graduate student - were urinary peptides in blood and urine (short chains of amino acids) and their anti-cancer activities. He had originally noticed a difference in peptide content between the blood and urine of healthy people and that of cancer patients. The fact that fascinated him was that normal healthy individuals had much higher levels of certain peptides and that these peptides not only helped in the process of communication between cells (and thus identification of rogue cells), but were also known to possess the ability to stop cancer growth in vitro. Similar studies at Leeds University had shown the presence of these peptides, but no follow-up analytical work was done with them. In case you dont know, peptides are short chains of amino acids, whilst proteins are long chains of more than 50. Quite early on in his work, he concluded that these peptides somehow affect the unique biochemistry of the cancer cell. He managed to isolate about 120 peptide fractions, amino acid derivatives and organic acids for his studies. These he termed antineoplastons, and he prepared four formulations (produced synthetically), which were active against cancer cells. It is now clearly understood that, in cancer, the ras gene can cause a cancer signal to be made (genes that cause cancer are called oncogenes). It is also known that another gene (p53) normally suppresses tumours (and turns off the cancer process), but somehow fails in cancer patients. Burzynski showed that antineoplastons both turn off the ras gene and restimulate the p53 suppressor. He thinks of antineoplastons as switches turning some things off and others back on. Antineoplastons provide the messages which tell the genes to act. Without enough of these crucial peptides the risk of cancer is higher. Antineoplaston peptides are made in various parts of the body, but primarily in the liver and the kidneys. Two types exist: ones with a very specific activity for specific tissues, and others that have broad scale activity for a wide variety of tissues. A cancer patient has a double problem. They make far less of certain peptides than are needed (probably because the genes that control them are switched off by modern toxins or poor diet); and also the cancer cell sends out messages to tell the kidneys to excrete them, thus protecting itself. And then it all went pear-shaped. Burzynskis discoveries were at first applauded and he was offered a higher post but in Baylors Department of Pharmacology, a job he turned down. Almost immediately his research grant was not extended and he was left outside of the system. In 1983 he applied to the FDA for new drug permits for antineoplastons, but was turned down. A lengthy legal battle then took place which included the FDA raiding his offices. Since there was no statute in Texas preventing him from treating patients with this claimed non-toxic solution, he set up shop for himself. However the US District Court then banned him from shipping his product across state borders. Since he couldnt stop patients from taking the product back to their homes in other states, he was subjected to Grand Jury investigation, and eventually tried on over 70 charges. One by one he beat all of these and, 14 years later, the FDA and the District Court gave in. An important part of the defence was that these antineoplastons work! In 1991 a group of investigators from the National Cancer Institute went to the Burzynski Research Institute in Houston and reviewed his best 7 cases, where patients - mainly with astrocytomas and glioblastomas - had experienced complete responses to the drugs. The NCI recommended a Phase II clinical trial, which began in 1993 and was overseen by such eminent institutions as the Mayo Clinic and Sloan-Kettering Cancer Center. However, only nine patients were assessed, and the final report concluded that the results were insufficient to recommend antineoplastons for wider use. Burzynski was extremely unhappy, especially when he discovered that the doses used had been far lower than those he was giving his own patients. Indeed, he published a letter stating that the levels used during the clinical trial were previously established by him to be ineffective! - 9 (25%) had a complete response, i.e., disappearance of the tumour on an MRI scan. - 7 (19.5%) had a partial response i.e. more than 50% reduction on MRI scan. - 12 (33.3%) were stabilized. In his report Burzynski noted the general consensus in the medical community is that these brain tumours cannot be cured by chemotherapy, and the response rate is only modest. However he, himself, achieved a claimed complete tumour resolution, or over 50 percent tumour reduction, in 16 of his 36 patients. These research findings have never been confirmed by independent sources. Burzynski in 2012 claimed he had over 2000 patients in full clinical trials at his clinic, all supervised by the FDA. And he won FDA approval for a supplement for home use, but he stresses that this is not, by any means, a replacement for formal therapy. But the damning 2013 FDA report and the cessation of permission to treat children may just be the beginning of the end. Can we have serious independent research, please? Antineoplastons of types A, A10, A-S2-1, A-S2-5, A2, A3, A5 have all been studied in clinical trials according to the NCI. In phase I clinical trials side-effects were reported to be mild and short-term; but in phase II trials with brain tumours some patients experienced seizures, brain swelling and confusion. Researchers in Kurume University in Japan have also explored the effects of antineoplastons, not only with all types of brain tumours, but also with colon and liver cancers. Results have been mixed. Numerous genes have been identified and linked to a number of cancers; others are specific to a certain type of cancer. Burzynski and the Japanese are studying which genes are blocked, and which are over-active with which cancers and how anteneoplastons might work with each. It is early days but the full picture may be less than ten years away. Although the early work involved taking the peptides from urine, nowadays they are synthesised in the laboratory - Burzynski employs over 100 people, producing product, researching and treating. Burzynski has also developed new formulations, and believes that far more active packages will be developed in the future. Indeed he believes antineoplastons will eventually become a mainstream treatment for all cancers. Clearly, Burzynski and his treatment clinic are controversial. Maybe antineoplastons are becoming less so. Of course, the expense of being treated privately at his clinic is fodder for the skeptics. And if everybody he treats is part of a clinical trial but he releases no serious completed information on results, cancer patients have every right to be concerned. A course of treatment is not cheap! But treating people he is. Even after the latest FDA report. So, no research, talk of evidence destroyed and patients improperly treated. It’s certainly not ideal. Cancer patients have a right to honesty. If he really has found a genuine alternative cancer treatment that passes the rigours of a clinical trial and we had thorough, independently verified and completed phase II and phase III clinical trials that showed positive results, he could be on his way to a Nobel Prize with his treatments. Alternatively, this could be the biggest medical scam since Vioxx. While we are encouraged that the NCI covers antineoplastons now in some depth, we cautioned before that patients should await the FDA report. Now it is out, we await FDA action. We can’t help having a very uneasy feeling about this clinic, if not this treatment. The costs don’t help calm our concerns. Cancer patients deserve to know the full, objective truth; the sooner the better. 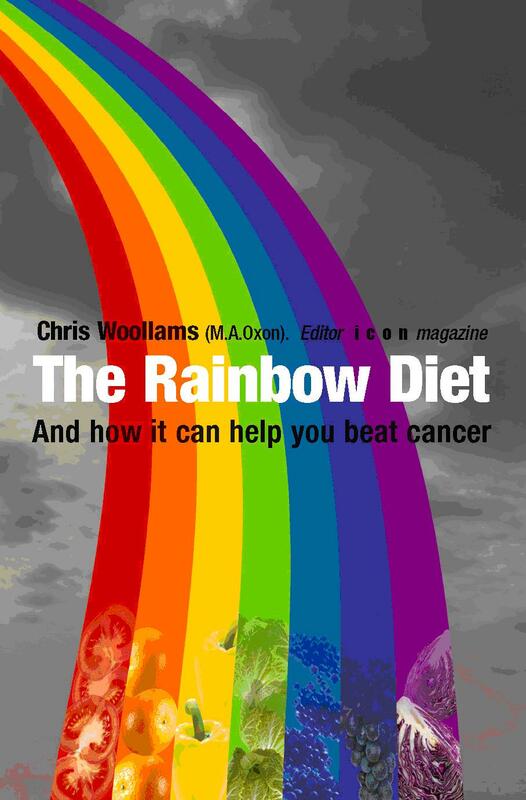 At last; the definitive, research-based book on how to build a diet to help beat cancer. Click here to read about it.